Look up and thank your lucky stars for Phoenix. This statement LED pendant was designed in our MADE Studio to dazzle your guests – it’ll take some work to grab their attention from your ceilings. Phoenix’s sculptural shape is a sight to behold. The slim, curved lines feature integrated LED lights. Long-lasting and energy efficient, they’re always a bright idea. 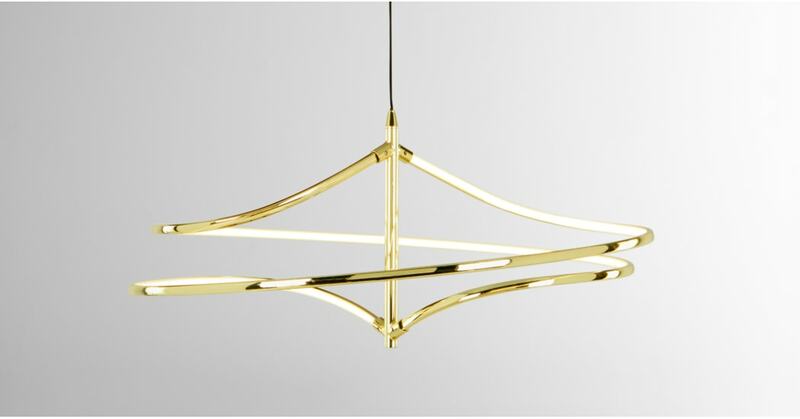 The ultimate showstopper, pick this LED pendant light in on-trend copper or luxe brass. Pop yours in the hallway, either of these metallic tones showcase Phoenix’s striking silhouette.